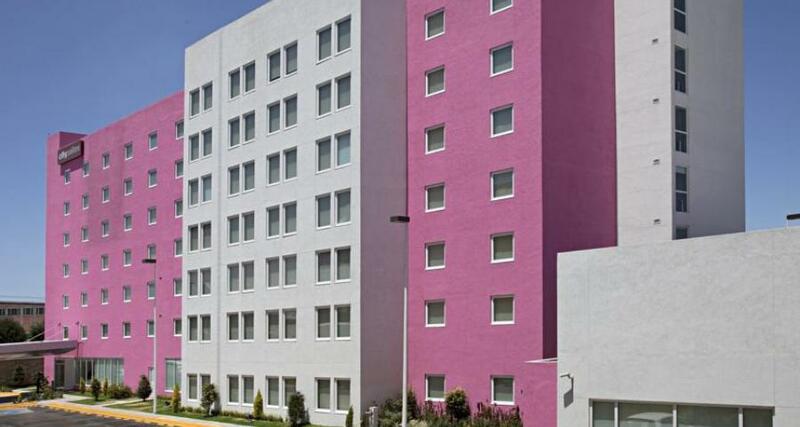 City Express Suites Playa del Carmen is a 4* hotel located in Playa del Carmen, Mexico. It features 56 rooms and swimming pools. Located within the exclusive residential and tourist area of Playacar, City Express Suites Playa del Carmen is a modern business hotel with convenient features. During your stay, you'll find a breakfast area, a business center and wireless internet access. There is also an outdoor pool, a gymnasium and beach club just minutes away from the hotel, right next to the Cozumel ferry dock. It guestrooms are ideal for extended stays, as they feature a fully-equipped kitchenette, dining area and a small living room. If you are looking for a hotel in Playa del Carmen just steps away from shopping and attractions, considering staying at the City Express Suites Playa del Carmen.